Only thirty fans will be given access to the weekend's Cairo derby between Al Ahly and Zamalek. 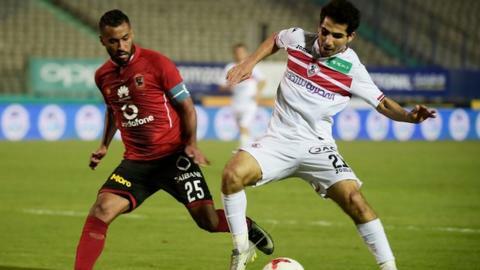 The biggest game in the country's league could see Ahly overhaul their city rivals at the top of the table. 15 fans from either team will be allowed into the game, according to Egypt's Football Association (EFA). "After meeting with security, we can announce that only 30 people will attend the match between Ahly and Zamalek, with 15 persons for each team", Amer Hussien, the chairman of the EFA's competitions committee said on Thursday.